RM Sotheby’s achieved sales in excess of $525 million on classic cars and automobilia in 2015 including the most-expensive car of the year. 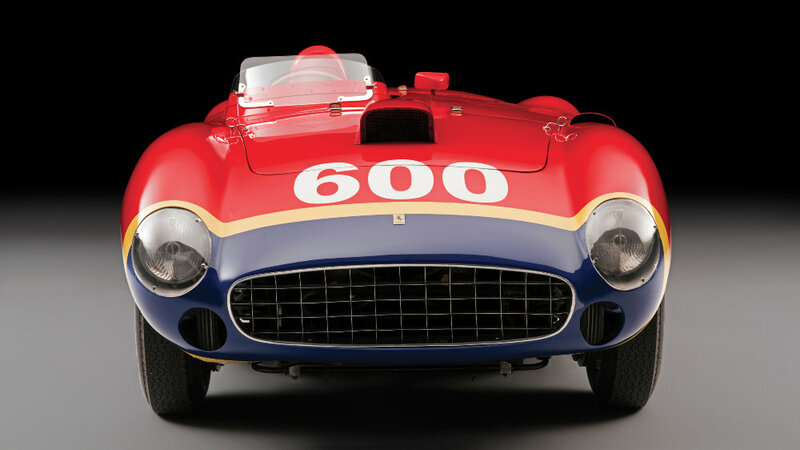 The 1956 Ferrari 290 MM that sold for $28,050,000 at the Driven by Disruptions sale in New York was the most-expensive car sold in 2015, the highest result ever for RM Sotheby’s and the third highest price ever paid for a car at public auction. RM group of companies—RM Sotheby’s and Auctions America—posts $593 million in global auction sales in 2015. RM Sotheby’s achieved sold 113 cars for over $1 million each in 2015. In 2015, the RM group of companies, incorporating RM Sotheby’s and Auctions America, generated a market-leading $593 million* in auction sales. Eclipsing the company’s 2014 performance by 26 percent, the impressive total, generated by the sale of 2,962 vehicles and select memorabilia at 15 events on two continents, represents a new benchmark for the automotive auction industry. RM Sotheby’s was responsible for $525 million* in auction sales with an annual sell-through of 90 percent in 2015. The results were generated by the sale of 784 vehicles and select nostalgia at 10 separate auctions across four countries. Reflecting RM’s consistently high caliber of consignments, 113 automobiles generated million-dollar-plus results, of which 15 surpassed $5 million and six garnered prices exceeding $10 million. The season was highlighted by February’s momentous announcement of a new strategic partnership between RM Auctions and Sotheby’s, which saw the latter acquire a 25 percent ownership stake in the company and led to the rebranding of RM Auctions to RM Sotheby’s. The announcement was exciting for not only the company but also the hobby at large, and in just 10 months, the partnership has already proven highly effective in introducing new audiences to the exciting world of collector cars. Approximately 20 percent of bidders at RM events in 2015 represented new clientele, with active participation by Sotheby’s clients, along with a notable uptick in participation from collectors in the 30 – 40 age bracket. Reflecting the extensive global reach of both companies, entries were handpicked from 29 countries, with bidders hailing from 57 countries. While North America and Western Europe remained key markets, growing interest was demonstrated by collectors in South America, Asia, and Russia. From a sales perspective, RM Sotheby’s global events continued to yield strong results and set new auction benchmarks. Reaffirming the company’s clear market leadership, RM secured 15 of the top 25 most valuable automotive auction sales globally in 2015. The list was crowned by the ex-Works, ex-Fangio 1956 Ferrari 290 MM, which commanded $28.05 million at the company’s December 10 ‘Driven by Disruption’ sale in New York City, ranking it not only as the top automotive auction sale of 2015 but also the most valuable car sold in RM’s history and the third highest price ever paid for a car at public auction. The company’s flagship Monterey sale during the Pebble Beach Concours d’Elegance again raised the bar for high-end automotive auctions, generating an exceptional $172.9 million to set a new record as the highest grossing collector car sale of all time. 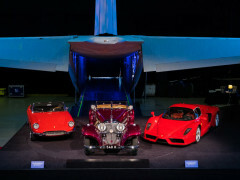 The three-day extravaganza was highlighted by the Pinnacle Portfolio—an extraordinary private collection of 25 post-war sports cars—which realized $75.4 million to set a record for a single-day, single-vendor automobile auction. All up, RM was responsible for six of the top 10 sales at this year’s Monterey week, including the top sale, a 1964 Ferrari 250 LM for $17.6 million. The weekend was made all the more thrilling for the RM team with the 1924 Isotta Fraschini Tipo 8A F. Ramseier & Cie Worblaufen Cabriolet owned by The Patterson Collection and restored by RM Auto Restoration, judged ‘Best of Show’ at the Pebble Beach Concours d’Elegance. The win represents RM’s sixth ‘Best of Show’ at Pebble Beach in the new millennium. Beyond Monterey, RM Sotheby’s posted its strongest performances to date in Arizona, Paris, Amelia Island, Hershey, and New York. The Amelia Island sale launched the new RM Sotheby’s partnership with an impressive $60.3 million in sales, a result that represents not only the highest ever total for a sale held during the Amelia Island week but also exceeded the combined tally of all other auctions held during the week. Among a long string of other benchmarks set over the course of the year, a 1964 Ferrari 250 LM sold for $9.6 million at RM’s Arizona Biltmore sale to secure the title as the most valuable automobile sold in Arizona auction week history, while a 1960 Ferrari 400 Superamerica SWB Cabriolet brought $6.38 million to claim the top sale of this year’s Amelia Island week. Another standout of the year was the presentation of the esteemed Paul and Chris Andrews Collection in May, which garnered $53.8 million to reinforce RM’s expertise in the private collection auction segment. Most recently, RM Sotheby’s rounded out its 2015 calendar with a spectacular exhibition and results in New York City. 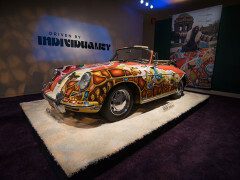 The creatively-themed ‘Driven by Disruption’ event drew thousands of enthusiasts to preview its expertly curated exhibition in Sotheby’s 10th floor galleries, before the handpicked selection of 31 vehicles and select memorabilia went under the gavel December 10, generating $73.5 million in sales. Auctions America’s 2015 season was highlighted by solid results across all venues, an expanding national footprint, and a growing clientele. Total auction sales for the year exceeded $67.5 million*, with an annual sell-through of 72 percent for all lots. These results were generated by the sale of some 1,343 vehicles and assorted automobilia at five separate events in some of the United States’ top automotive destinations. Illustrating the company’s ever-increasing reach, bidders represented 21 countries in addition to 49 states. A staggering 46 percent of bidders represented new clientele—an achievement attributed to not only the company’s strong marketing and client outreach but also emphasis on diverse, quality product. 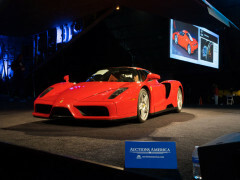 The crowning achievement of Auctions America’s 2015 season was the sale of the most valuable automobiles in the company’s history, a title shared by a 2004 Ferrari Enzo and a 1938 Mercedes-Benz 540K Special Roadster, which both achieved $1.87 million at the company’s California sale in July. The sale’s move to the historic Barker Hangar in Santa Monica was well received by the collector car community, attracting 43 percent new bidders as well as providing a wonderful showcase of the team’s creative capabilities; playing on its airport hangar location, the event delivered a new take on automotive auction staging, with vehicles driving onto the podium via the tail section of a C130. 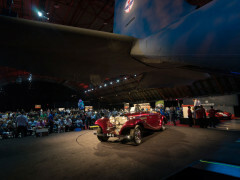 Auctions America’s flagship Auburn Fall sale again provided a wonderful celebration of the hobby, with a record 85,000 enthusiasts flocking to the Classic Car Capital of America for the Labor Day weekend tradition. The weekend was highlighted by approximately $20 million in auction sales and 6.8 miles of vendors filling the event’s popular car corral and swap meet. The five-day event was also witness to the company’s most successful automobilia sale to date—an increase of over $100,000 on 2014. Auctions America plans to further grow its focus on automobilia in 2016 with a special announcement expected in the New Year. *Results are listed in USD and inclusive of buyer’s premium. Sale totals include post-sale transactions.